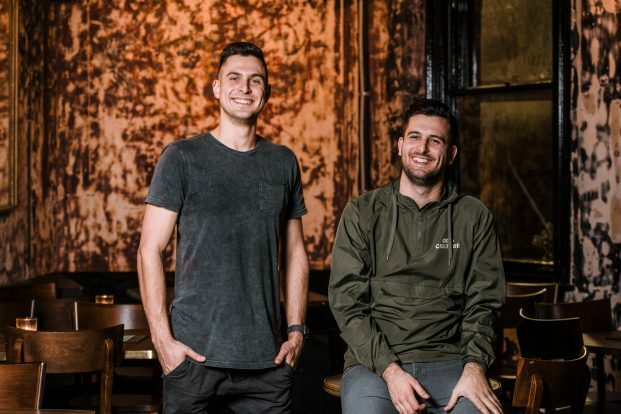 Brothers James and Josh Thorpe of Thorpe Hospitality Group and Darlinghurst’s craft beer pub, The Taphouse, have added a second venue to their portfolio. The duo have picked up The Oxford Tavern in Sydney’s Petersham, the well-known Inner West pub with a lively history. The venue has been sold by the Australian Venue Co, who bought the venue from Jaime Wirth’s Drink ‘N Dine in early 2016. Speaking to Australian Hotelier in July 2018, CEO of Australian Venue Co, Paul Waterson, suggested their Oxford Tavern and The Norfolk were better suited to smaller operators who were more in touch with the communities that the venues operate in, hence the planned divestment. The buyers would appear to be a good fit on those measures. The Thorpes are passionate about local, independent beer and breweries, so it is no surprise that they will be launching a brewing label, with the ultimate goal of installing a brewery in the venue. With so many independent breweries nearby, the pub will be focusing exclusively on locally owned, independent breweries on tap and will also introduce a wide range of craft options, with a particular focus on ‘hyper-local’ breweries within a 5km radius of the pub. “We’d love to brew our own beer for the pub – ridiculous, commercially unviable beers that are tasty and a lot of fun. Everything from hazy to barrel aged, sour and even smoked”, says James Thorpe. To celebrate the venue takeover, the team have brewed their own New England IPA with their friends at Capital Brewing Co. The Oxford Brewing Racket x Capital Brewing Co. ‘Hi-Vis’ Neipa with Mango and Turmeric will be launched in venue on Australia Day. The Oxford Tavern is famous for its smoker BBQ, so there will be a big focus on restoring it to its former glory. The Taphouse’s much-loved and awarded Sunday roast will also make an appearance, but with a BBQ twist. “We really want The Oxford Tavern to be inclusive and open to all. The new Tavern will be a venue that doesn’t take itself too seriously – a fun, relaxing environment with fresh, local beer, great food and all-round good times for everyone”, says James Thorpe. The acquisition comes fresh from the launch of Odd Culture, the group’s new first-of-its-kind wild ale and natural wine bar. Located on the second level of The Taphouse, Odd Culture offers a constantly rotating menu of 20 beers on tap, 12 wines, and the largest bottle list of wild ales and sour beers in Australia. Thorpe Hospitality will open the doors to the new Oxford Tavern on Monday 21 January. They will spend time in the pub and getting to know the local community before commencing work on the build. Further details are expected soon.